Every day we meet or read about people who want to make the world a better place. “Make a difference” has been the battle cry of digital influencers, celebrities, companies, schools, and a host of organizations. But when Jason Paganessi, a former Air Traffic Controller in the military turned Technology Business Executive for a professional member-based organization, with limited detailing experience says he wants to make a difference by putting up a hand car wash in Southwest Chicago, you might wonder why. What’s a former military with business know-how doing in a hand car wash, anyway? And why would someone entrust his vehicle to Jason, considering his only experience is detailing his own cars? First, let’s take a look at the qualities of an air traffic controller. To qualify for the job, you need to prove that you can think on your feet and make sound decisions under duress; you can think systematically and be able to accept criticism. You must be a good communicator, problem-solver, and multi-tasker. Business executives, aside from being excellent decision-makers, need to be rapid learners. They also need to play well with their peers, inspire subordinates, and have a good grasp of where they want to go. Why a DetailXPerts Hand Car Wash? 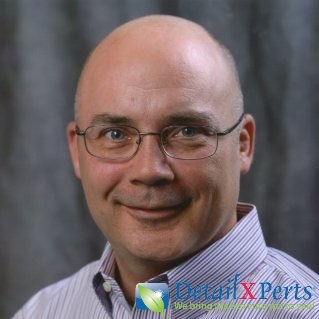 With such a prestigious work background why did he decide to become a DetailXPerts franchisee? He did look into other options, but they did not appeal to him. He wanted something that makes a difference and helps the community, while earning in the process. As a result of great quality training and availability of top-notch equipment and processes, Jason’s team is ready and focused on providing superior service to their customers. He’s had nothing but positive feedback from the customers they have helped so far. Mobile and eco-friendly are the processes that stand out at first. But the dedication to customer satisfaction and friendly service are their most positive attributes. It was not all rosy when Jason began his journey to entrepreneurship. There were times when he felt overwhelmed and frustrated. Now, his hand car wash business is growing and his efforts are coming to fruition. In five years, he envisions running at least 6 crews covering at least two territories. And he plans on adding a good amount of commercial accounts as well as a healthy retail outlet! Aside from car wash and auto detailing, this Southwest Chicago hand car wash also offers mobile truck wash, engine steam cleaning, professional car detailing, fleet washing services and washouts, and aircraft detailing. They are equipped with trained professionals who took seminar sessions on eco-friendly mechanisms and proper handling of car cleanliness issues. For inquiries and special rates, call them at 779-234-8544 and schedule an appointment right away!